93-square-miles of Los Angeles County is under citrus quarantine, state agricultural officials announced late Tuesday night. 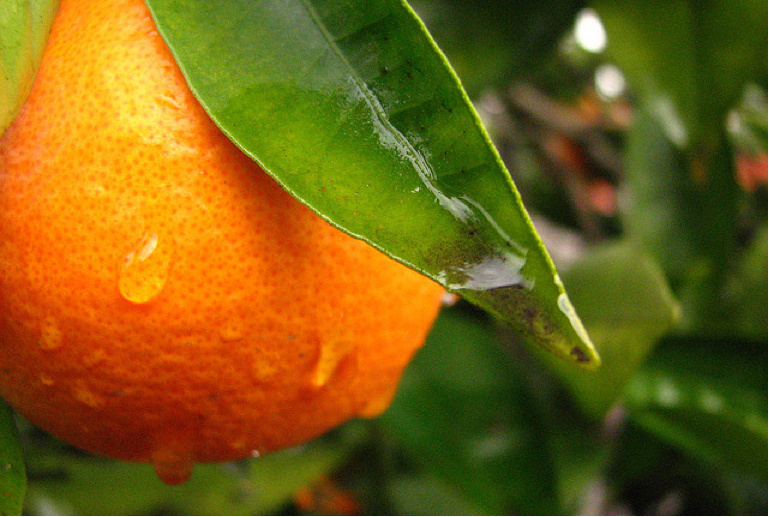 The quarantine prohibits removing any citrus fruit from the area that is not commercially cleaned and packed. No fruit may be removed from property on which it is grown (although it may be consumed onsite). The deadly citrus disease, huanglongbing (also know as "citrus greening"), has had bug detectives itching for months in anticipation of the seemingly imminent infestation. Recent discoveries in the the Hacienda Heights area had CA officials walking door-to-door collecting samples from backyards just days ago. The quarantine area -- centered near State Route 60 -- extends south into Orange County, north into Baldwin Park and West Covina, west into South El Monte and Whittier and east into Walnut and Rowland Heights, said the California Department of Food and Agriculture said in a statement. More than a pest, the tree-killing bug treatens to decimate California's $2 billion citrus industry.